Christianity: Failed mission or glorious victory? Yes. This is something we hear shouted in churches all the time, and, as stated, it is true. What we need to discuss is the actual reach of that victory. True Christians (who are much fewer in number than we’d realize) absolutely have had victory availed to them through the death and resurrection of Jesus. There are two specific issues, however, that we must consider. First, we as Christians can shout “Victory!” all day long, and live in depression, deception, defeat, fear and turmoil if we don’t actively live according to that victory. We have a part to play (a big part). Second, the true scope of the victory is limited. We can get excited about our own victory while failing to see how rare it is—as the high majority of people on the Earth are not victorious at all. They are lost. Victory and faith are one in the same. This reveals quite clearly that we must be active in faith in order to experience victory. And, of course, as was stated above, that victory is tragically limited. It’s truly few on the Earth who are living in faith and victory even though the cross and resurrection of Jesus provided victory to everyone in the world—everyone who would respond, that is. As we, through faith, abound in the work of the Lord, we will live in victory—yet more importantly, our labor will result in victory for others. That’s the true purpose of our lives. Prior to the cross and resurrection, humanity was flooding into Hell. The rescue mission of the cross was necessary, and the power it released was immeasurable, but its impact was minor when you take into account how few have responded to it. It’s no surprise that the idea of Christianity experiencing failure feels both ridiculous and offensive. It’s ridiculous to those who are so inwardly focused on their own personal experience that they don’t see reality around them. It’s offensive because it presumes the sacrifice of Christ was insufficient. The emergence of Christian Universalism and its various sects has resulted in a faux spirituality for innumerable people—people who presume that the cross of Christ resulted in one hundred percent of humanity being redeemed. Any thought of a lesser success rate is immediately resisted with mocking and even rage. After all, their comfortable, eternal utopia is threatened, and any theology that puts it at risk is soundly rejected. The thought is that Jesus would certainly allow entrance into Heaven anybody who lived a good live and who voiced even the slightest affirmation of the Gospel. Only the hateful, evil people of the world would be cast into Hell. This thought is rampant in Spirit-filled churches today. We have underestimated the power of the blood of Jesus while overstating the role of the blood of Jesus. The shed blood of one Man long ago was powerful enough to eradicate the multiplied trillions of sins that had been committed, and those that would be committed in the future. Further, one drop of that ancient blood was sufficient to heal every disease. We have barely tapped into its power. However, people wrongly presume upon the blood to apply itself simply because we have voiced a commitment to the one who shed it. The blood doesn’t grant us immunity, it grants us authority. We must apply it. We must live a life empowered by it. Though the blood paid the price for sickness, it is still required that we heal the sick. Though the blood paid for salvation, we must walk that salvation out with fear and trembling. The church in the Western culture barely has a heartbeat, and this is due largely to a casual, entitled people who presume wrongly upon the blood of Jesus instead of taking up their cross, laying down their lives and operating in the bold authority that such a great sacrifice by a great God demands. We have a part to play. If we tread, then we won’t be hurt. Why? Because we applied the blood of Jesus. We advanced in the authority that it provided. If we don’t tread, we will be stung. It’s not a prayer alone that saves us. It’s a lifestyle of enduring surrender. Salvation isn’t a status, it’s a lifestyle. We work it out, we endure, we repent. Salvation is not a dime store item on the shelf that anybody with a little curiosity and a minimal investment can receive. Salvation is immersive, dynamic and all consuming, and can’t be simply analyzed with a logical mind. It’s not a switch that’s flipped. It’s a relationship. Anybody who’s been in relationship knows it has up and downs, and it grows, ebbs and flows. For example, an increasing number of professing Christians have subscribed to an expression of Christian Universalism that believes that Hell is a temporary holding place for those who rejected Jesus, and will be released from torment at the end of the Millennium. This is a result of a misunderstanding of the role of the blood. Its reach is only as far as we affirm and apply it. The cross of Christ, the blood of Jesus, possesses such unimaginable power. However, it didn’t result in salvation for all. This means that the glorious cross and miraculous resurrection set many captives free, but not all. Not most. Not even close. The question is, is this failure Christ’s or the church’s? 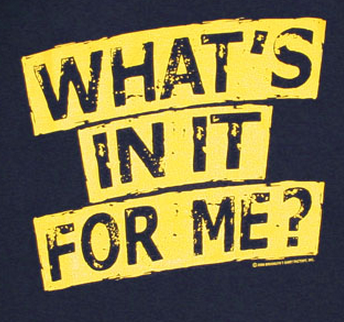 Of course it is on us. The fall of Adam and Even was more cataclysmic than any of us could imagine. The general thought is that they fell and God then sent Jesus who would resolve everything. That’s the incorrect belief that this article is addressing. After the fall, God moved into the world’s most dramatic and comprehensive rescue mission—a mission that by most any standard would be categorized as a massive failure. 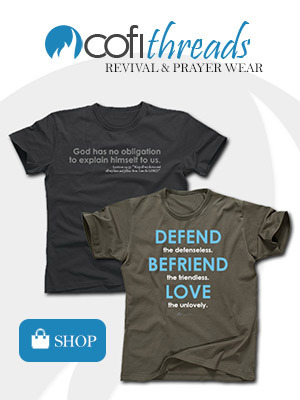 Contrary to Universalists, this rescue mission will not result in every human being being saved, redeemed. In fact, we should be haunted and grieved by the reality. Statistically, the numbers are horrifying. It’s been recently reported by Barna Research that only 4% of Americans fit within the category of professing, active Born Again Christians. Without any true ability to know the exact numbers of people who have or will be cast into Hell, we can at least entertain an estimate. The official estimate of people who have ever lived on the Earth is approximately 108 billion people. Others who subscribe to a 6,000 year history put the number closer to 50 billion. Let’s use the 50 billion estimate. How many of the 50 billion people experienced victory and how many did the mission of Jesus fail to save? 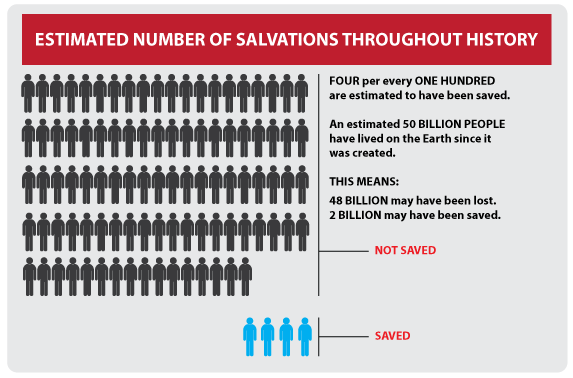 At 4%, which may even be a little high (some suggest one in one thousand on the earth today are truly saved), that would mean 2 billion through all of history were successfully saved through the cross of Christ. That would mean 48 billion are currently in Hell (or on their way there). So, you might wonder just what the point I’m trying to make is. Here it is: When declaring victory, shout it with boldness and humility and great thanks, but absolutely do not stop there. Cry out to God and volunteer to move outside of your comfortable safe place, focusing on your own victory, and volunteer for the ongoing rescue mission. To shout about victory without understanding how rare and precious it is, and without brokenness about the condition of the world, is narcissistic, selfish and evidence of a radical lack of revelation of God’s heart for the lost. Today the church is looking out for number one, and, unfortunately, all too often, number one isn’t Jesus. It’s self. While others are convulsing, burning, roasting in the fires of Hell for eternity, Christians today are lining up for events that promise health, prosperity and happiness for themselves in their few short years on the Earth. They are already convinced of their own eternal security (often wrongly), so the next obvious step would be to have their life on Earth enhanced. Every day countless people are entering eternity without Jesus, while never being prayed for, never having a Christian stand in the gap for them, never having the opportunity to know the love of Jesus. A wrong understanding of victory will result in presumption that Jesus did it all, we have no part to play and now all we should do is go about our personal lives. A right understanding of the status of the mission will result in lives of Believers laid down as willing martyrs for the sake of slowing the flow to Hell. 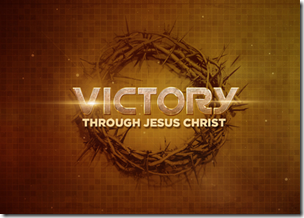 Simply said, the cross of Christ resulted in glorious victory for those who have received him. However, those people are very few and very far between. Salvation is rare indeed. Hell is expanding to hold those who are descending into it, and this is a tragedy that we can’t ignore. It’s not about us. It’s about them and it’s about Him. We must be realists. We must not reject truth, even when that truth is fearful, traumatic and heavy. 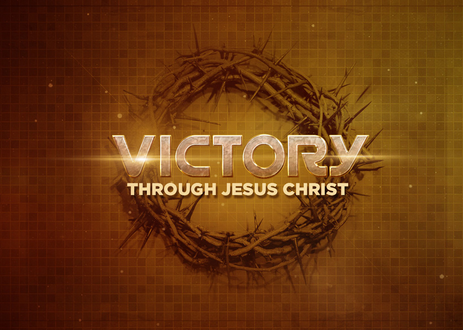 Certainly, in the end, Jesus will win the victory over Satan and the kingdom of darkness. We understand the great battles that are coming will be won by Jesus and his army. That is a mighty victory for sure! The redeemed will experience such phenomenal, glorious victory and their eternities will shine forever! This absolutely is news worth rejoicing over! But, we cannot stop there. Not now. Not when people will die in their sins tonight. Not when it’s so unbelievably rare to make Heaven. It’s time to pray. It’s time to fight. It’s time to lay down our lives—for real this time. RELATED ARTICLE: Fireworks AND a Road Trip Sunday!